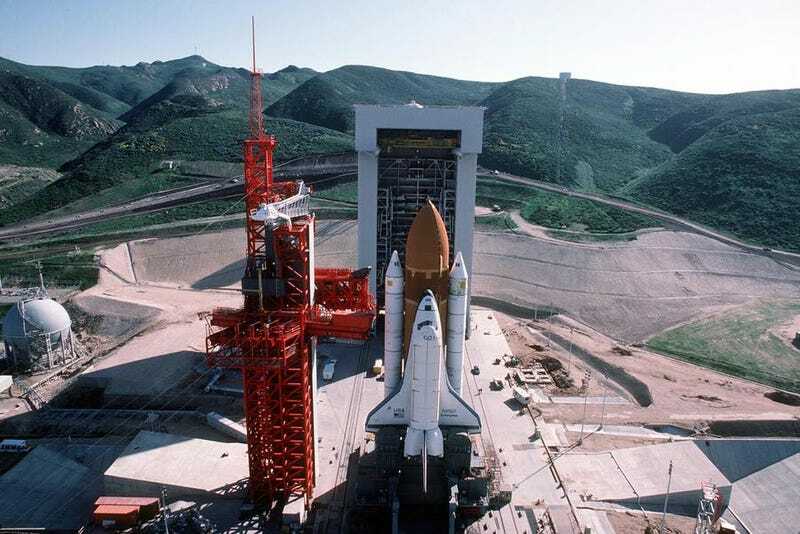 Prior to the Challenger accident, NASA intended to fly DOD missions to a polar orbit out of Vandenburg Air Force base in California. Here Enterprise is used to evaluate the pad setup. If you want to learn more about this grab the book Into The Black.